Barcelona has a well-earned reputation for its thriving graffiti and urban art scene. If you’re here on holiday why limit yourself to just visiting the galleries and museums when you can see stunning Barcelona street art in virtually every neighborhood? Discover another take on art in Barcelona, and explore how this vibrant and creative city abounds with original tags, stencils and murals. Some of the pieces of artwork are well known while others remain hidden gems. Whether you’re new to Barcelona or have been living here for years we recommend that you open your eyes a bit wider next time you pass through the streets of the Gothic district, Raval, Born, or indeed anywhere else. Instead of waiting to stumble upon these Barcelona urban art highlights you could check out the Barcelona Street Style Tour who will expertly guide you through some of the most interesting street art hotspots Barcelona has to offer. The tour also highlights a selection of the city’s more underground contemporary art galleries. The guides are familiar with the work and styles of many local artists and offer unique insights and anecdotes that will give you a greater awareness of the urban culture in Barcelona. Tours are free but donations are expected, if of course you believe the tour deserves one. The appropriate amount to pitch in would be between 7-10 euros and its well worth it for all the uncovered artwork and insights you are will enjoy. If you are lucky, you may even catch a glimpse of some local celebrities such as Rhombus, Ocabrita or El Gordo. Although we can’t give away all the Barcelona street art tour details, we can let you in on where some of the hotspots are, if you decide to look for them yourself. Top of our list is the Jardins de les Tres Xemeneies, off Avenida Paral-lel. 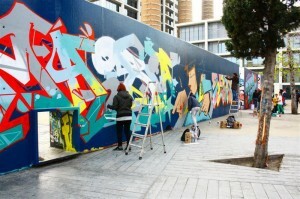 This park is particularly special because it is legally permitted to paint here, so the walls change every week. Next is the “casa okupada” squat on Rambla del Raval, with a giant mural which is easy to spot. Be sure to take a look at the murals by Venom, a worldwide legend, in the Walter Benjamin Gardens. Clet Abraham, known for his sensational traffic sign artwork, has a few pieces that can be found in the Born. 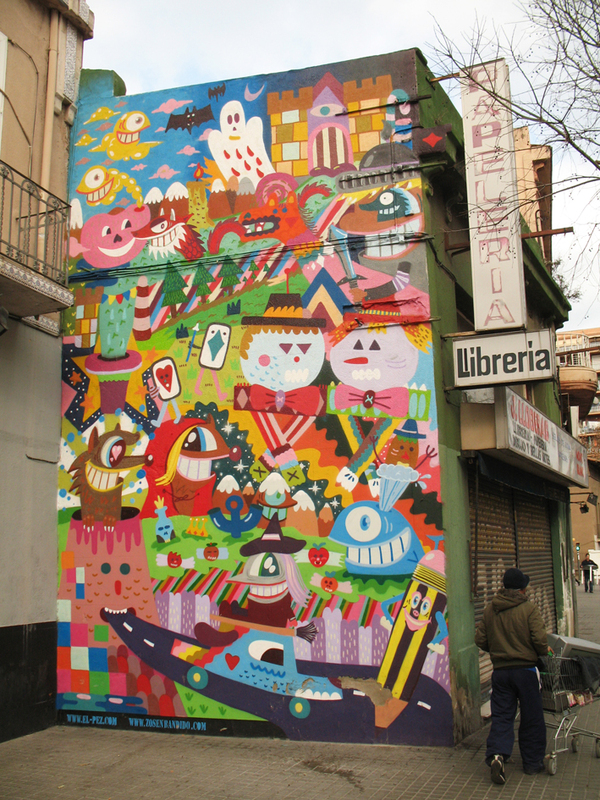 Poblenou is especially dense with Barcelona urban art and has its own route. 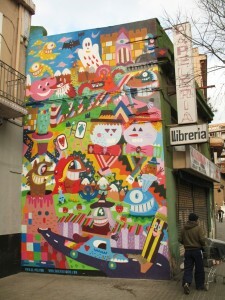 And of course, don’t miss the Barrio Gótico where you can find several pieces by legends such as Pez and Kram. 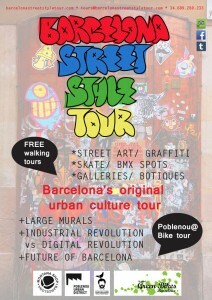 If you have some free time, try out the above route and take your own tour of Barcelona’s greatest street art and boldest works. Urban art can be found throughout the entire city; you just have to know where to look. Keep in mind that street art projects tend to come and go, and if you are lucky enough you may get the opportunity to see some of the most notable current projects throughout the city. 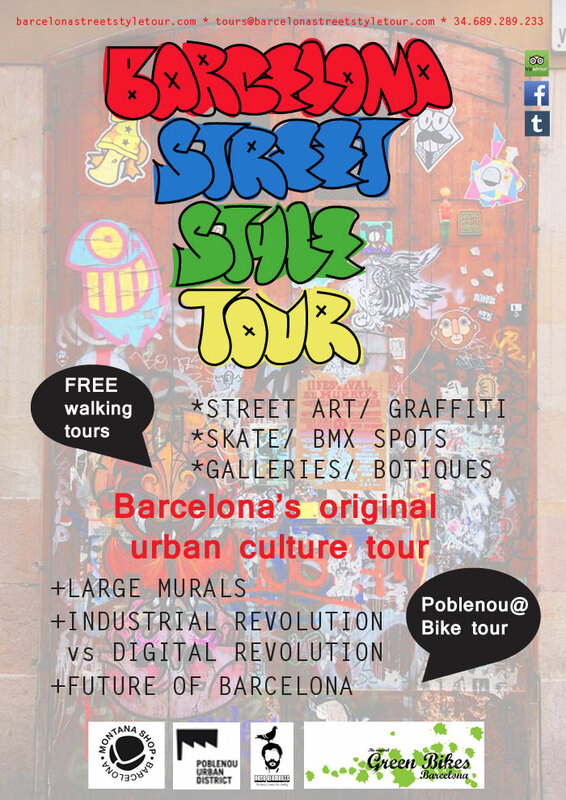 So, if you are interested in street art and urban culture in Barcelona, take the Barcelona Street Style Tour or explore the city for yourself. Either way, it’s is a great way to view the city from a different perspective every time. 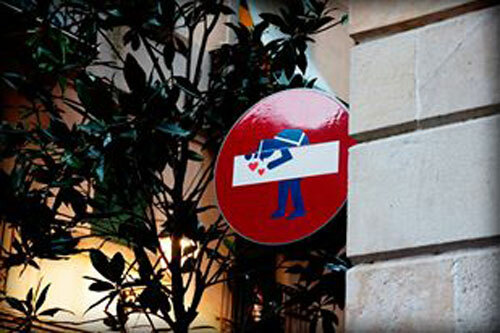 This entry was posted in Home, Things to do and tagged art barcelona, Culture barcelona, stay in barcelona, street art barcelona, tourist guide barcelona, vacation ​​barcelona, visit ​​barcelona, what to do in barcelona. Bookmark the permalink.